Benjamin Porter was an English machine builder. 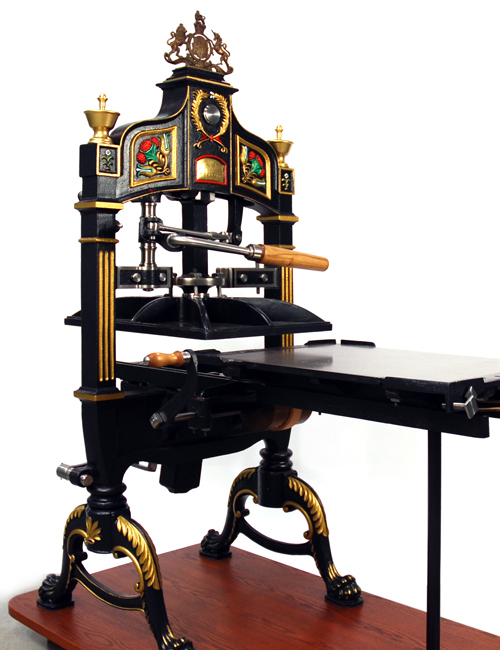 The heavy and ornate press he designed and built carries some genes from both the Albion and Columbian presses. 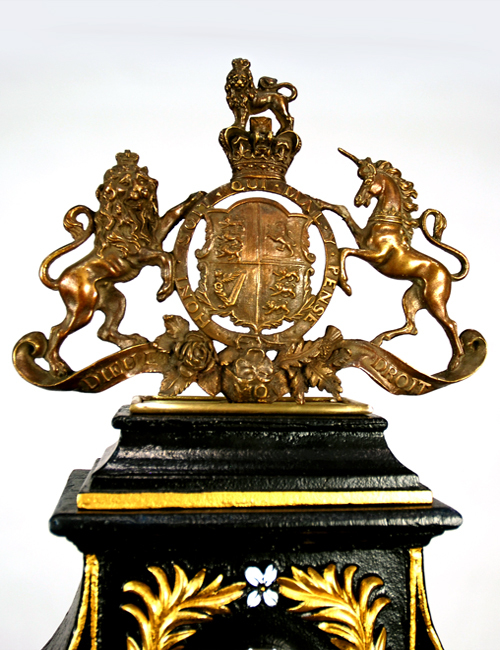 We assume the Porter machine was made prior to Victoria’s ascendancy to the throne because the royal coat of arms bears that of the House of Hanover. In C. Timperley' s Printer’s Manual of 1838, he reports that the Britannia press was highly spoken of by many practical printers and extensively patronized in the counties of York and Lancaster. No one knows how many machines Porter made or what changes were done. 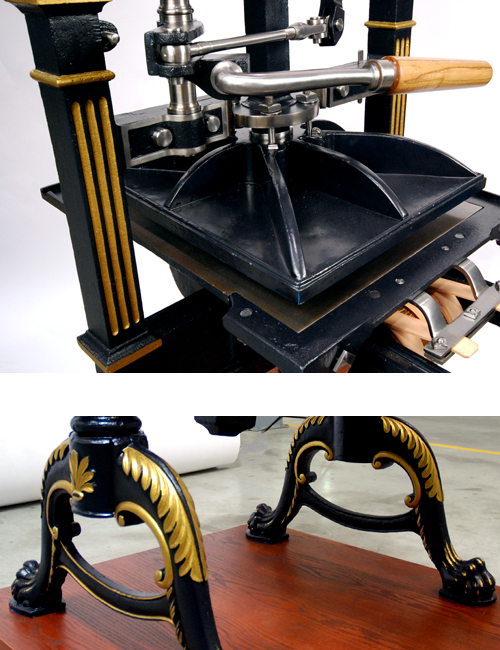 The Britannia has several rather unique designs including the bed and the platen return (he used a counterweight similar to Clymer). 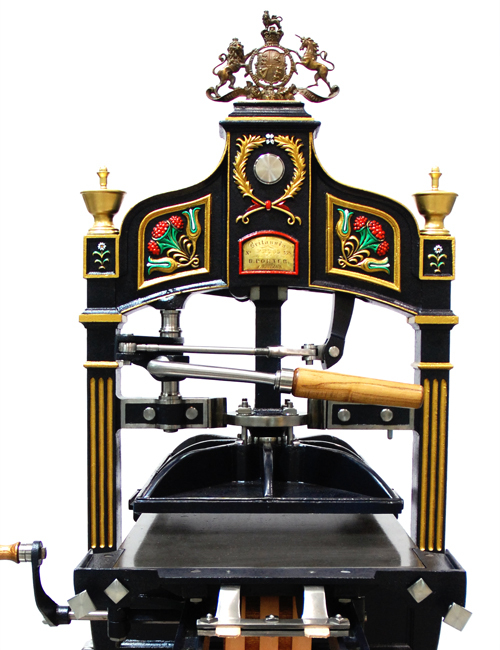 Decorated with fluted columns with urns perched on the pillars and the magnificent royal arms atop the press, the Britannia was manufactured between 1837 to 1847. Therein lies the mystery. Supposedly, only less than 10 of these machines are still known to exist. If the records are correct, then how could it be that the machine has the royal coat of arms of King William IV and not Queen Victoria? 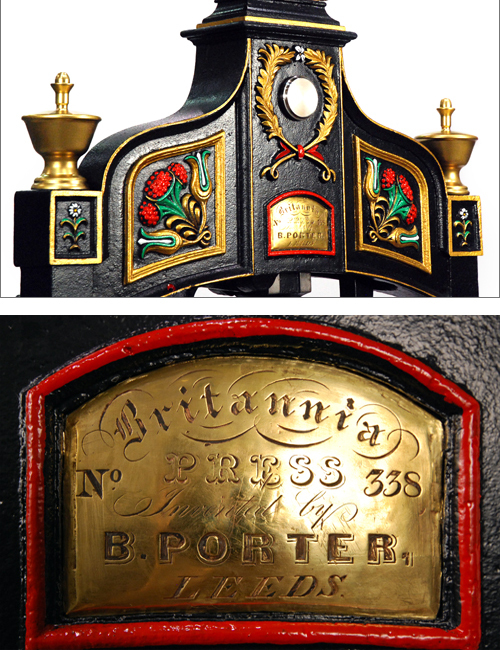 Victoria’s coronation took place in 1838 – only a year after Porter began making his press. 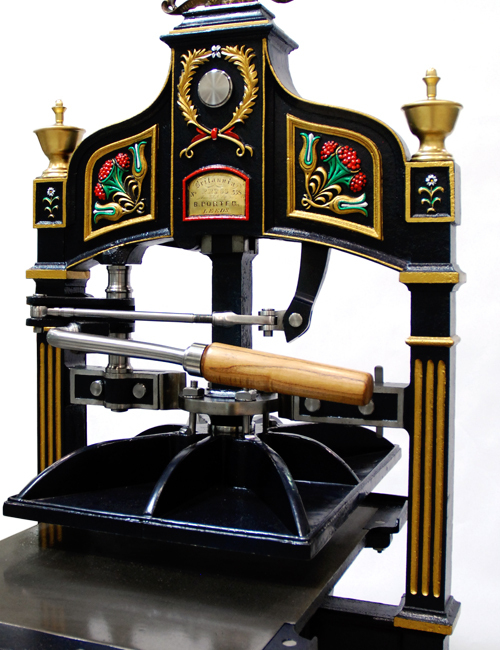 One assumes that the royal warrant would have then changed, and considering our machine has one of the oldest numbers of those known, we assume ours pre-dates Victoria as Queen.